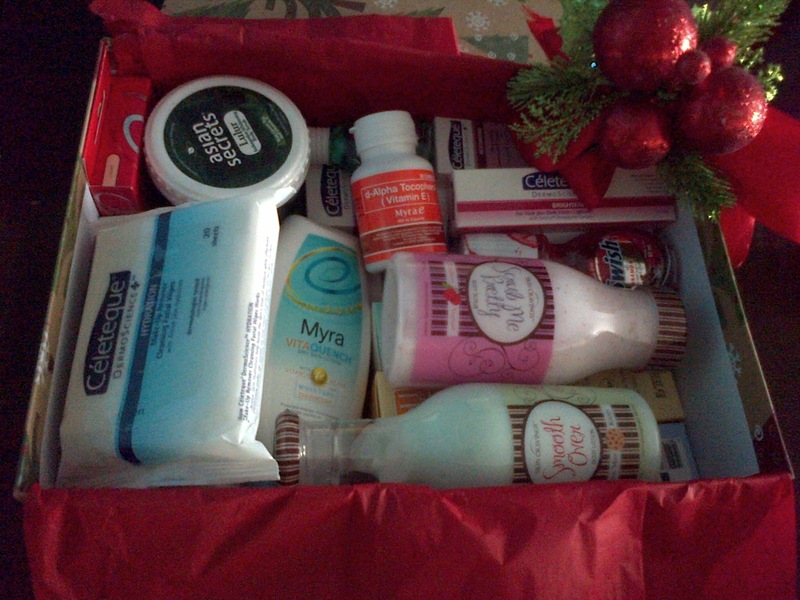 TOPAZ HORIZON: Thank you for my gifts! Oh my, I've had such a wonderful holiday season but Christmas is finally over. The pink tree has been packed away but the gifts, oh the gifts, they're still piled high! Vince is telling me to put them all away! A huge box of feminine prettifiers. I don't even know if prettifier is a word but anyway! Thanks, Unilab, for the loads of Myra, Body Cravings, Celeteque, Asian Secrets and Swish stuff! 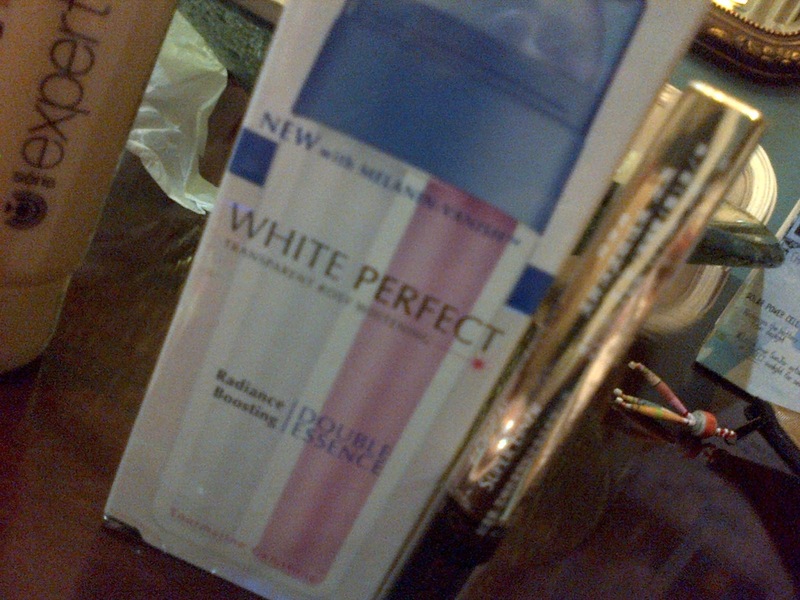 I'm especially liking the Asian Secrets Lulur Whitening Body Scrub. Thanks! 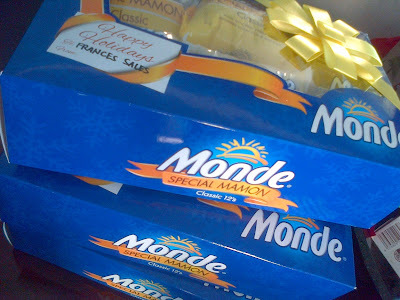 Three boxes of yummy mamon from Monde! This was our breakfast for almost all of December! Thanks so much for feeding us, Monde! 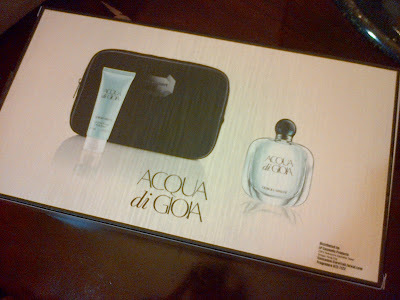 I love home fragrances. I have a shelf full of oils, candles and sprays. So this was a welcome gift. Three fragrances for a different part of your home—from kitchen to linen closet. 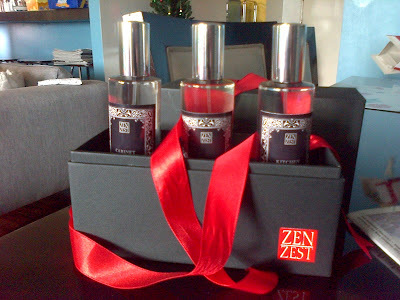 Thanks, Zen Zest! Okay, this gift made even the yayas happy. Vito gets to try out a lot of bath products but Iñigo is an exclusive Mustela user. Unlike Vito, Iñigo never had that newborn smell. 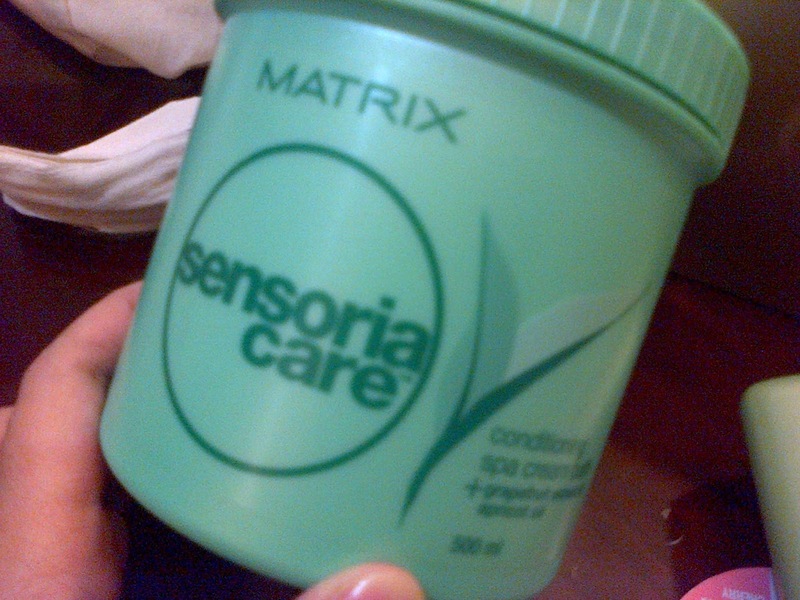 You know that wonderful heavenly smell? Iñigo always smelled like a sweaty little boy. His pedia says it's because he's fat. It's the grease we smell. We tried all the baby bath products out there and it was this—Mustela!—that cleansed his skin so well and so gently that he smelled like a real baby. 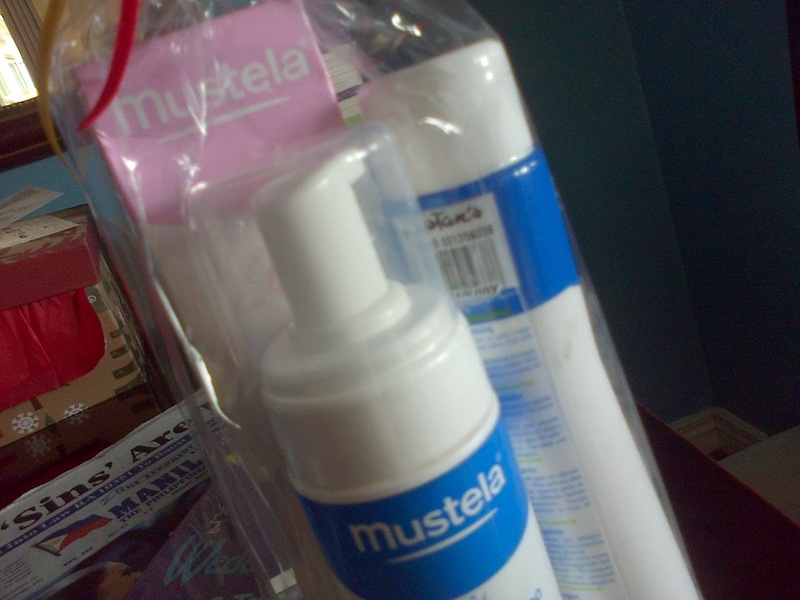 So for Iñigo, it's Mustela forevah! Thanks, Mustela, for the gift! And this is my love, Heather Gray. 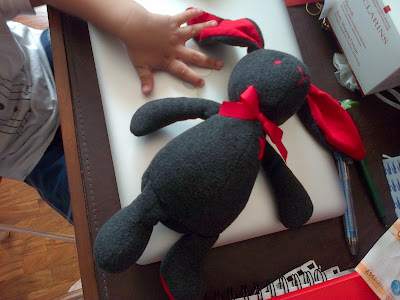 It's Bitbit the Rabbit from ultra adorable (and proudly Pinoy!) brand Spinkie. I fell in love with Bitbit rabbits early last year but couldn't decide on what to buy since each and every design was beyond adorable. Finally, Vince said I should get the brown and pink, our wedding colors. I did and when Vito saw it, he promptly claimed it. So I've been yearning for my very own Bitbit and Spinkie sent me Heather Gray! 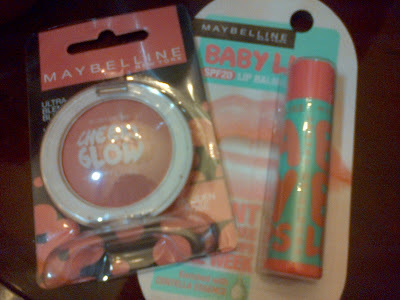 Thank you so much, Spinkie!!! 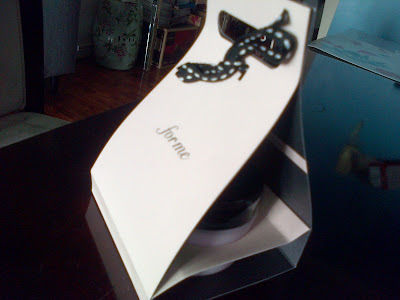 A surprise from Forme. Isn't Forme a fashion brand? I guess they're going into the lucrative beauty business, too! Thanks, Forme, for the hand and body lotion! This made me squeal in delight! 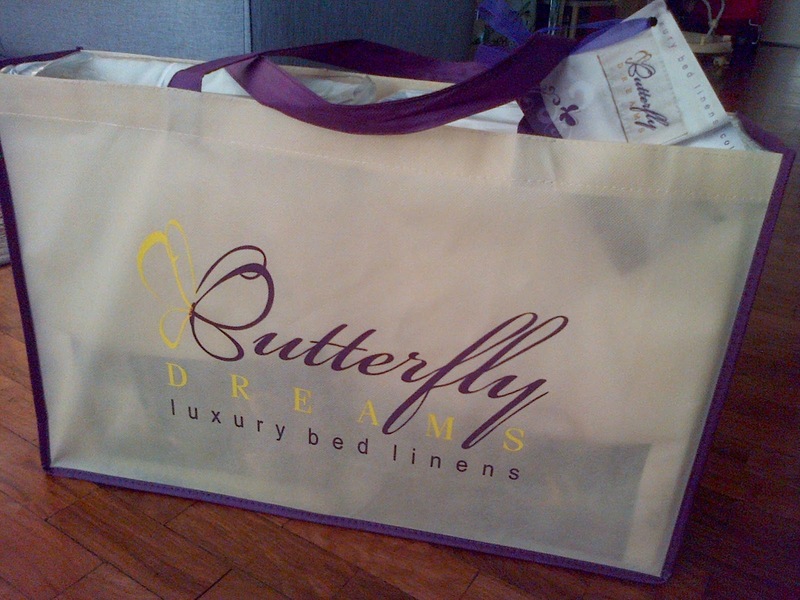 A set of luxury bedsheets and duvet cover from Butterfly Dreams. This is pricey because it's like the softest cloth ever with super high thread count! They were looking through my blog and said that my new Ethan Allen headboard needed fancier sheets (Vince says that's what we get for posting photos of our nice headboard and our ratty sheets!). Woah, diba?! Thanks, Butterfly Dreams, for being my fairy godmother! These are adorable. 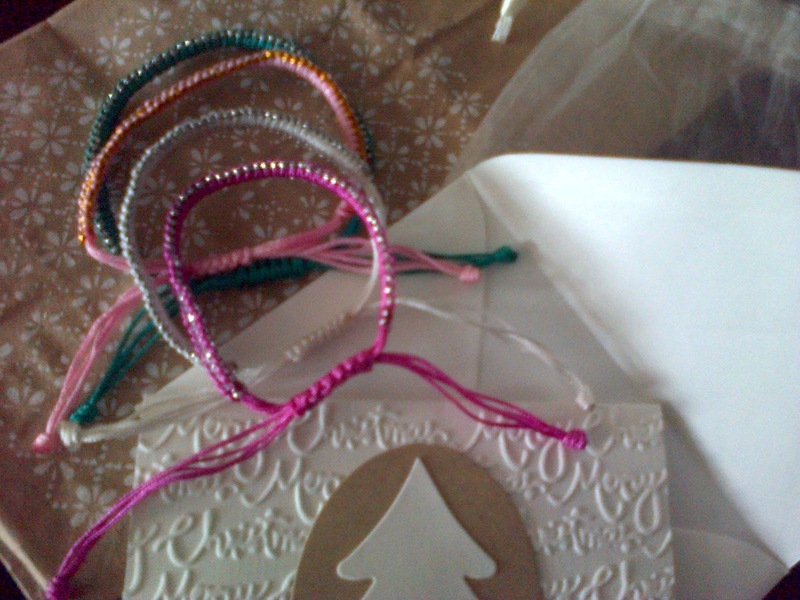 Friendship bracelets from Catalogue 63. Yes, this year was when I shopped at the online fashion boutique. I loved my dresses and, of course, my turquoise gown that has gotten a lot of mileage! Thanks for appreciating your shoppers, catalogue 63. I heart my friendship bracelets! Oh oh! I super love this gift from Sun Life! As you all know by now, Sun Life is our insurance and investments agency. So we love Sun Life. 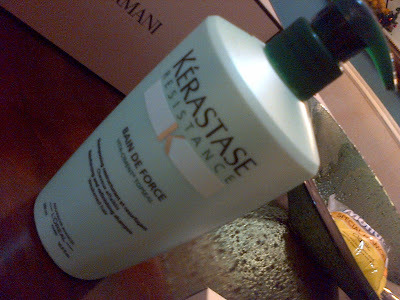 But now we love them more because of this Sun Jar! Vince used to have one. He loved it. And I broke it. It was a silly accident (stupid me put it on a narrow ledge) and I always said I'd replace it but this Sun Jar is just so expensive so I haven't. I think Vince has always been a little heartbroken because of that. So thank you, Sun Life, for saving my marriage!!! Books for a book lover! Thanks, Fully Booked! 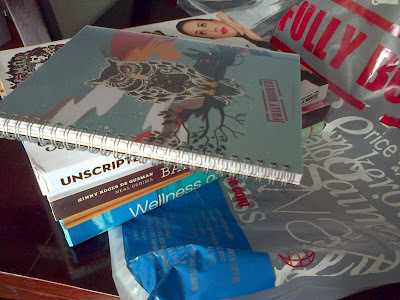 What I love most about this gift is all the books here are published by Fully Booked. It inspired me to write a book and maybe let Fully Booked publish it! All of the above beauty goodies are from L'Oreal! 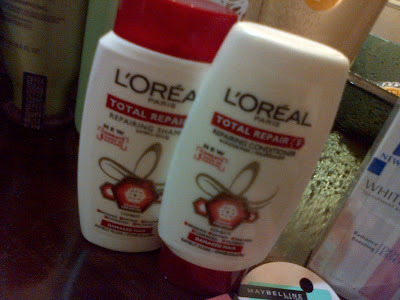 My dear L'Oreal family. 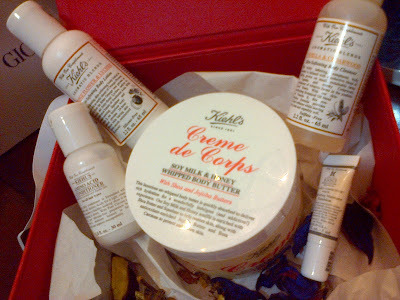 I'm especially loving the Kiehl's, Pureology and Lancome stuff because I really use their products. 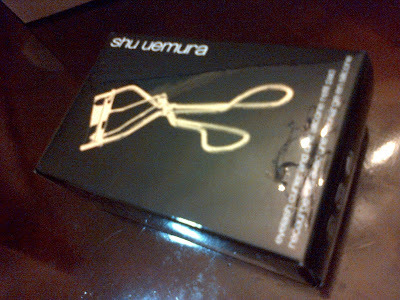 I also use shu uemura's famous eyelash curler so I was freaking out in delight when they sent me a gold-plated one!!! 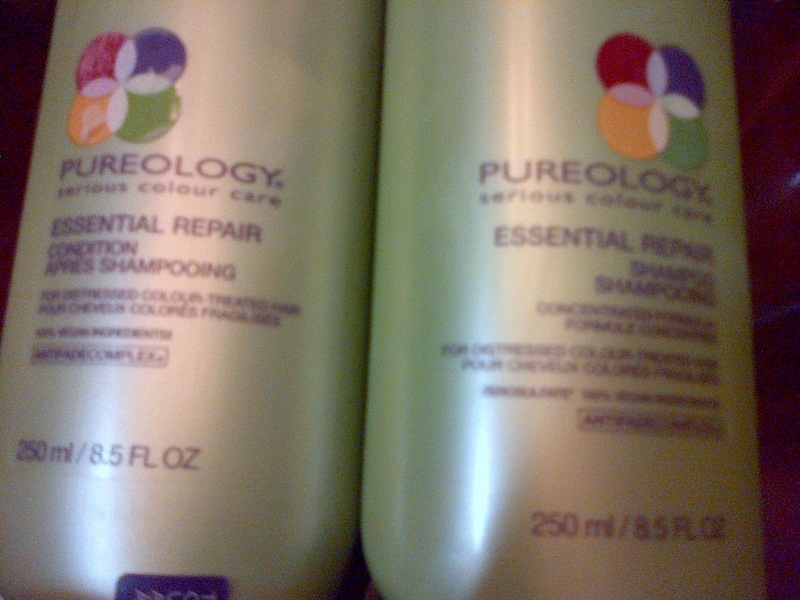 The rest of the loot, I am so giddy to try out. 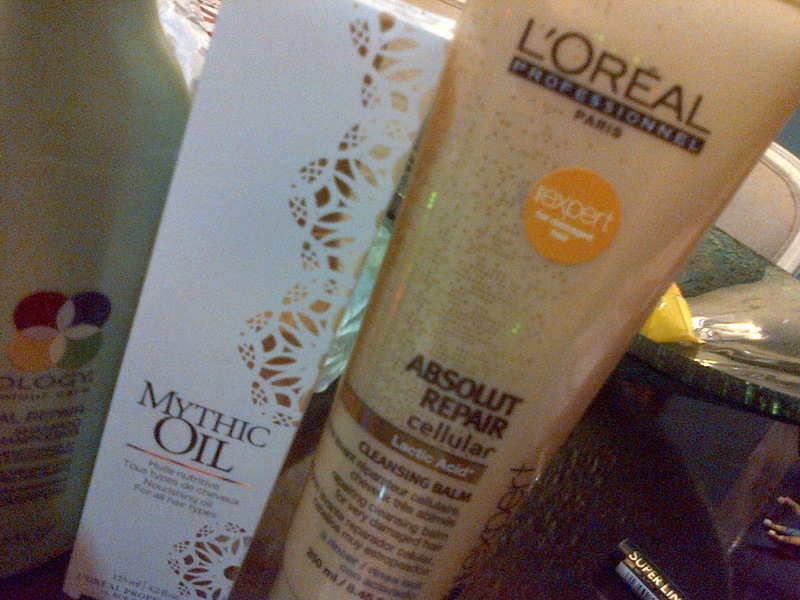 Thanks, L'Oreal! Okay, there's a lot more photos in my Blackberry (ya, sorry for the grainy shots!). I'll upload them in another post. 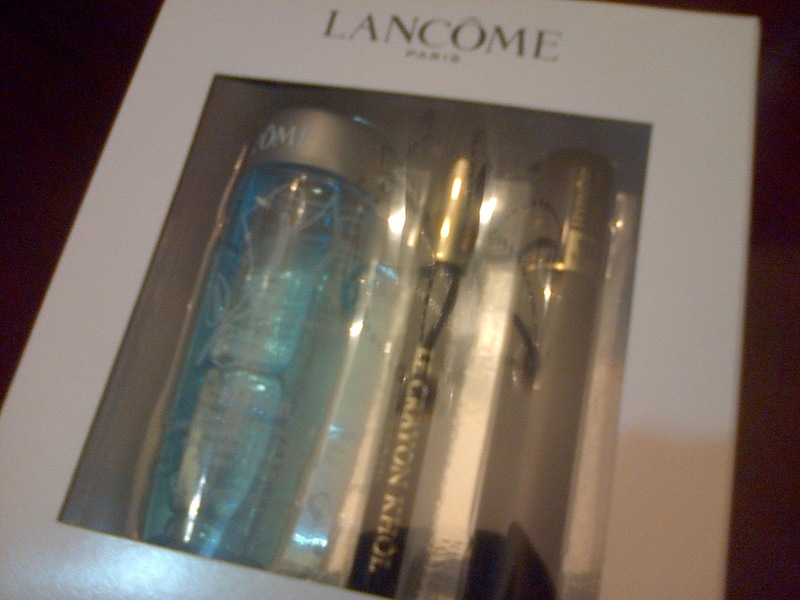 Meanwhile, for this instalment, I just really want to say thank you to the people and brands who remembered me on Christmas. You are all so appreciated! Let's work together this 2013! Oh my! I want a Bitbit too! haha, sooo adorable! :) That and the Sun Jar are going on my birthday wishlist! 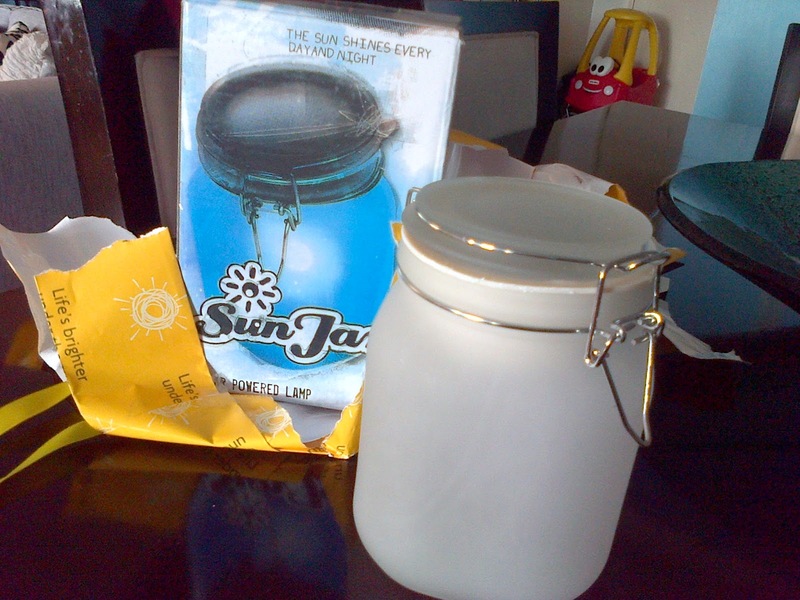 It's a jar of sunlight! =) It's the coolest thing. You can get one at Quirks (Power Plant, Megamall).